If you’re unhappy with your smile due to chips, cracks, or stains on your teeth, dental veneers may be an ideal solution for you. 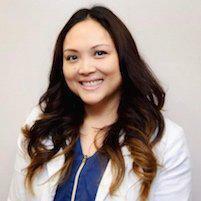 Dr. Ana Grace Santos, DDS, provides a full menu of cosmetic and restorative dental options for men, women, and children in Union City, California. Call the office to learn more about veneers and schedule a consultation or book your appointment online. Porcelain dental veneers are paper thin, highly durable shells that cover the front of your teeth to hide imperfections in your smile. Dr. Santos matches the veneers to your exact tooth color to make a perfect, natural blend. You’ll also be pleased to know that veneers don’t stain like your regular teeth, so darker beverages won’t cause a problem. What issues can veneers resolve? Dr. Santos uses a handheld tool to sand off a microscopic layer of the tooth’s enamel and takes a quick impression of your teeth. A lab uses the impressions to engineer your new veneers to perfectly fit. Does it hurt when veneers are applied? You’ll feel Dr. Santos applying pressure as she attaches the veneer to the tooth, but it’s not invasive and doesn’t even require numbing medication. It’s possible that your teeth will be sensitive during the enamel reduction phase, but this is mild and short-lived. Veneers aren’t permanent, but they are a long-term solution to cosmetic problems. In general, veneers last between 10-15 years. To learn more about how dental veneers can improve your smile and boost your confidence, call the office to book a consultation or schedule an appointment online.